A car loan quote is a basic estimate of how much you will be able to receive in financing and what you will pay for the loan. A loan quote does not include all terms, such as origination fees or prepayment requirements. The loan quote should cover the basic limits, interest rate and length of the loan a lender is willing to offer. You can look to traditional and alternative lenders for car loan quotes. Traditional lenders are banks and car manufacturers. Alternative lenders include independent financiers and online lenders. Traditional lenders tend to have the best loan options for the vast majority of borrowers. 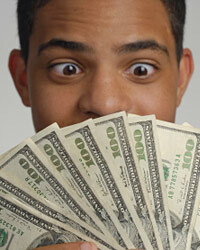 Alternative lenders may be used if your credit score or income does not qualify you for a traditional loan. Approaching a mix of lenders will give you the clearest picture of the type of loan you can achieve. Thankfully, most lenders have online quote forms, even traditional banks. You will need to provide basic personal information in order to get a car loan quote. Ultimately, your car loan application will include detailed personal and financial information, including your social security number. Up front, though, you should be wary of providing personal information that is too detailed. Instead, look for lenders that ask for an estimate or range from you in most areas. For example, you should be able to enter an estimate for your credit score instead of allowing the lender to actually carry out a credit check in order to simply provide you with a quote. You should look for a quote before you actually car shop. People who shop for cars first run the risk of selecting a vehicle that is out of their price range. It is not wise to get your mind set on purchasing a car before you know whether you can afford it. Instead, know what you can afford in monthly payments first. The remaining sum is what you can afford to spend each month on a car loan while still living comfortably. Look for quotes that get your monthly payment within this range, and then see how high the loan can be based on the monthly payment goal. Once you have 3 to 5 quotes for your car loan, you can begin the process of determining which the best option for you is. Today, most loan quotes are available almost instantly. This means you do not have to waste much time speaking with lenders up front before narrowing the field regarding who you would like to work with. You should consider not just interest rate but loan terms and other factors once you have limited the field of lenders to just one or two. Then, it is time to negotiate with each to determine who will ultimately provide you with financing. How to Read a Currency QuoteThe Quote CurrencyYour Home Equity Quote: What Banks Are Looking AtWhere To Get Free Motorcycle Insurance Quotes?